Start by putting the stuffing inside the eggs. We used stickers and temporary tattoos but use whatever you'd like. Use scissors to cut a piece of electric tape long enough to go around the circumference of the egg. Before you attach it, however, cut it in half length-wise. 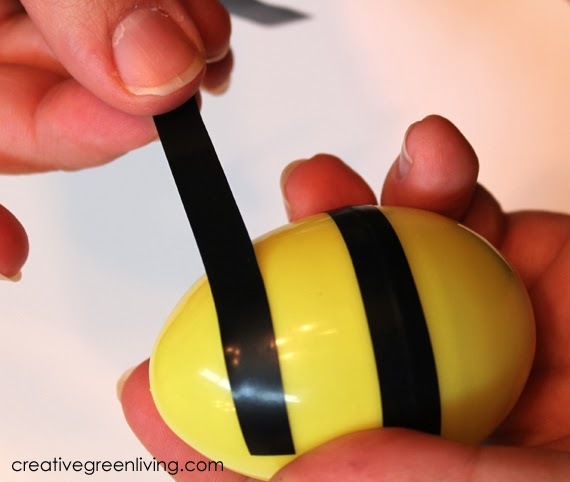 Wrap the tape around the middle of the egg to make a stripe. Use the other half to make a second stripe near the narrow end of the egg. Cut pieces of pipe cleaner about 1.5 inches and use the pliers to curl the ends under. 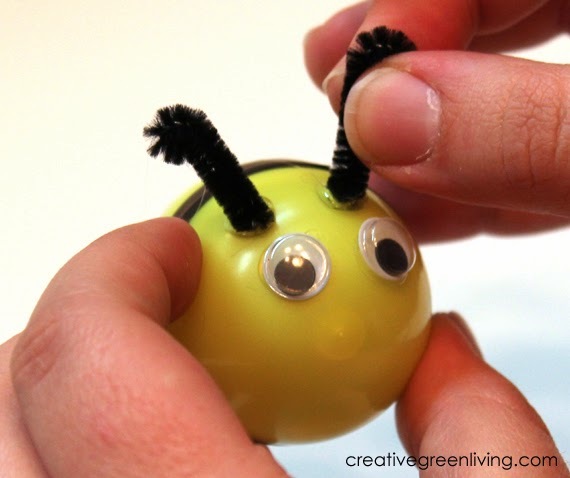 Attach two of these antenna and two googly eyes to the broad end of the egg to make a face. Cut two "B" shaped pieces from the white craft foam. 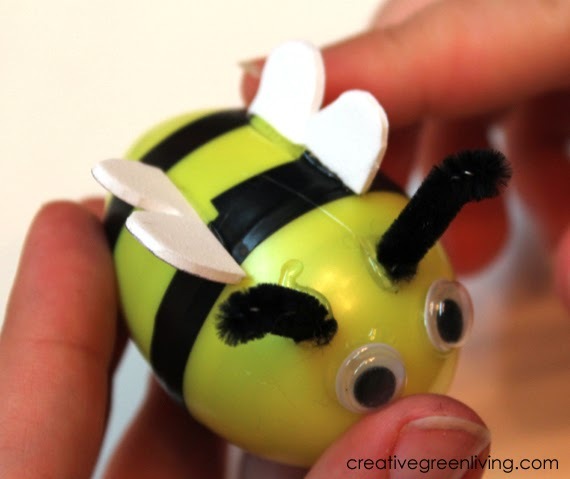 Attach to the back of the bee using hot glue. 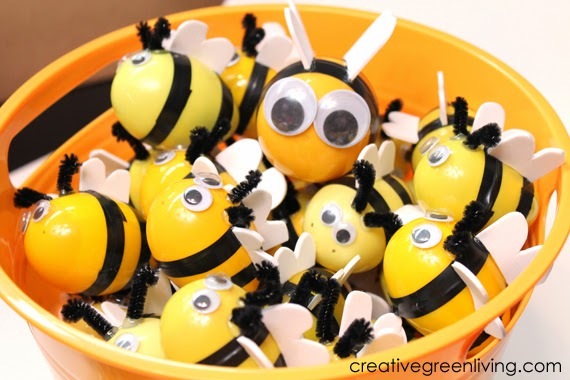 Keep going to make bees until you have a whole bucket full to use for a fun bee party hunt! 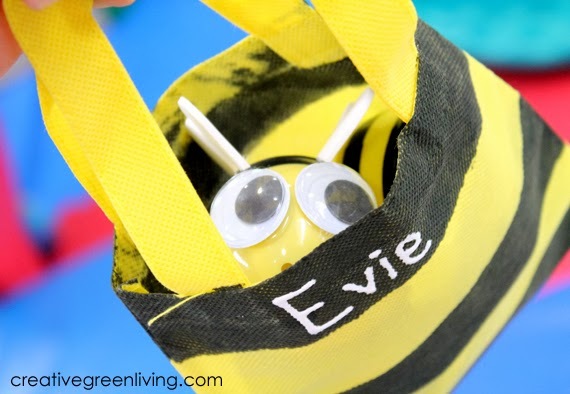 Hide the bees for the kids and watch them have fun collecting little bumbly friends! 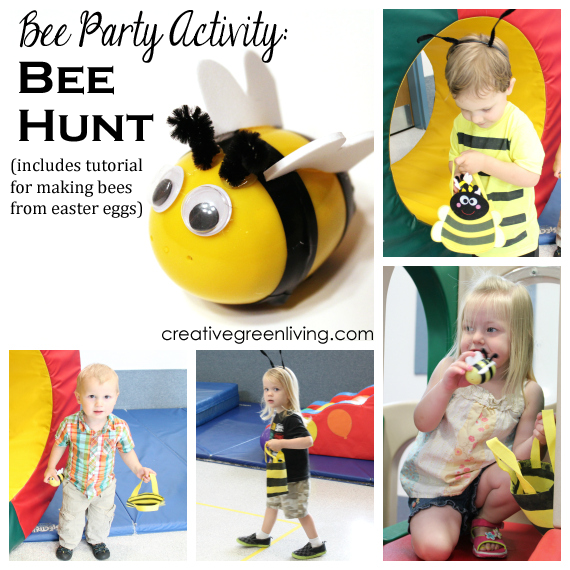 Need more bee party ideas? 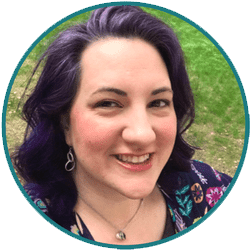 See all my Bee Party posts here. 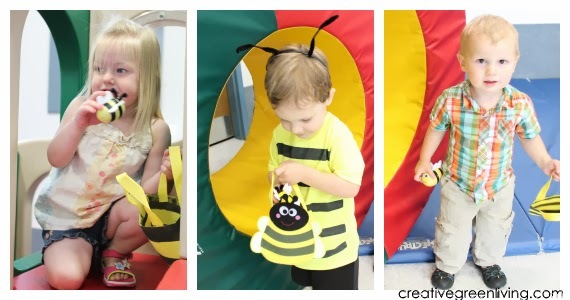 Did you use hot glue to attach the antennae??? ?